At this point, we’ve been in Sun Valley for more than 24 hours. The early-September sun has burned off the cold morning air, and the streets are abuzz with cyclists going to and from their second or third coffee stop of the morning. It is the first day in town for many riders and the big ride is not until tomorrow. Today is a day to relax…and perhaps to figure out what all of those chairs lining the main streets in town are all about. Turns out that Labor Day weekend is also the time for Wagon Days, a huge parade of—you guessed it—wagons, horses, caravans and other such things, to celebrate the pioneering origins of Ketchum. Rebecca really is onto something. In its sixth year, the ride is bigger than it’s ever been. “The first year, we had 175 people show up,” she smiles. 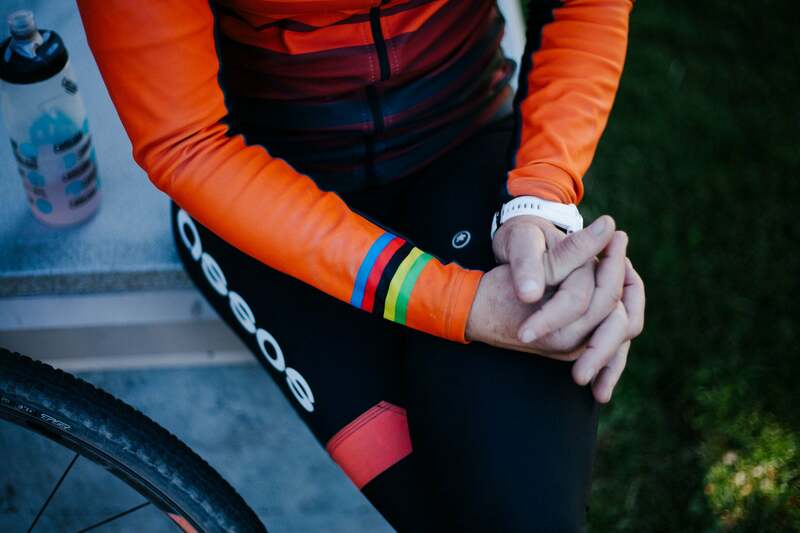 “Earlier this morning we did a casual coffee ride with over 200 people.” She then mentions that even though they are expecting more than 1,000 riders tomorrow, everyone will still experience those moments of aloneness and exploration on their bikes. Once the route leaves town and climbs into the Lost River Basin you find yourself just about as close to nowhere as you’d ever want to be. No cars, no cellphone coverage—just you and the sound of your breathing. A covered wagon crosses the street on its way to the parade. I’m sold. Let’s get lost! Rebecca explains that besides showing this place to people, her other goal is to support the local community. “I want to keep living here,” she says. “This is paradise, but it’s hard to make a living here. We are off the beaten track. 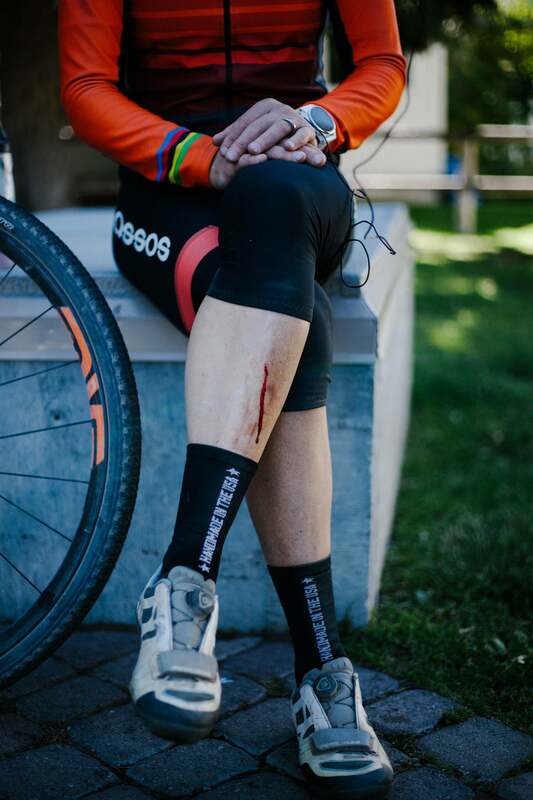 So by bringing my cycling tribe here, I am supporting the local business.” She mentions an economic impact study conducted on a previous year’s event that showed $3.5 million of economic impact from the riders who came to RPI. “I want everyone to feel like a local. 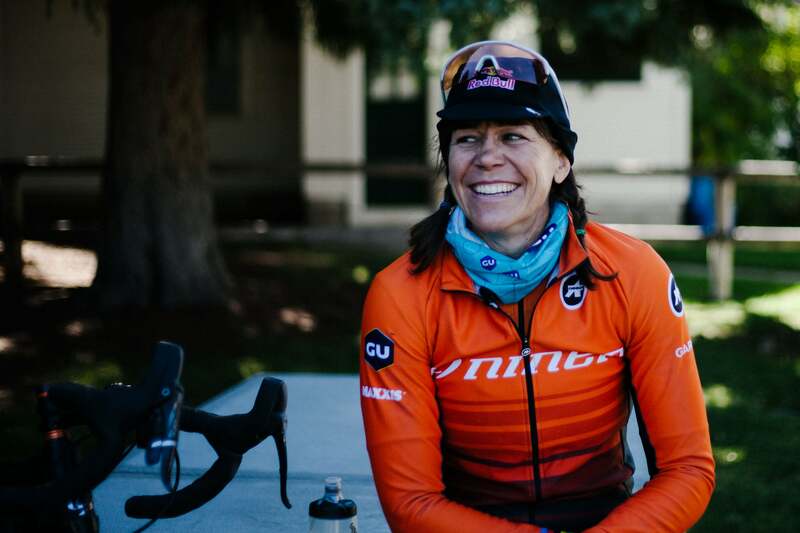 And 75 percent of the people come back.” Female participation is something that Rebecca is passionate about and she lights up when she tells me that “30 percent of participants are female. Which for an endurance event is pretty unheard of.” She adds that she would like to one day see participation at 50-percent male, 50-percent female. RPI is well on its way. The third reason for RPI is to support charities—on the local, national and global level. Locally, RPI supports the Wood River Bike Coalition, a local IMBA chapter working on keeping access to mountain bike trails. 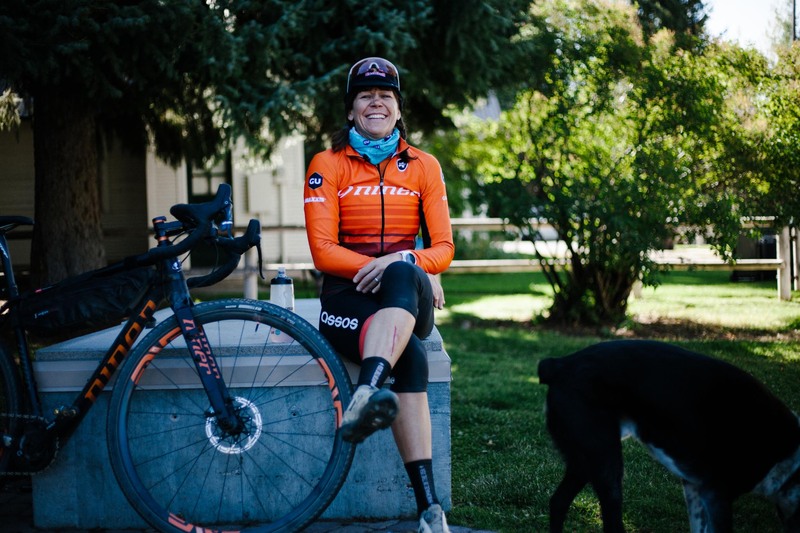 Rebecca also supports the Idaho High School Cycling League, happily mentioning that she gets to ride with a lot of the girls who are now part of that league. On the national level, RPI contributes to People for Bikes, which does a lot of work to protect bike infrastructure in transportation budgets to build more bike paths and bike lanes, and make it safer to ride your bike wherever you are in the U.S. And on the global level, RPI supports World Bike Relief, which works on providing access to bikes to communities in Africa. And, with that, our time is up. Rebecca has to run off to do some final prep for tomorrow’s ride, which I have to admit is beginning to sound more and more amazing the closer we get to it. But that’s not until tomorrow. There is still time for another beer. 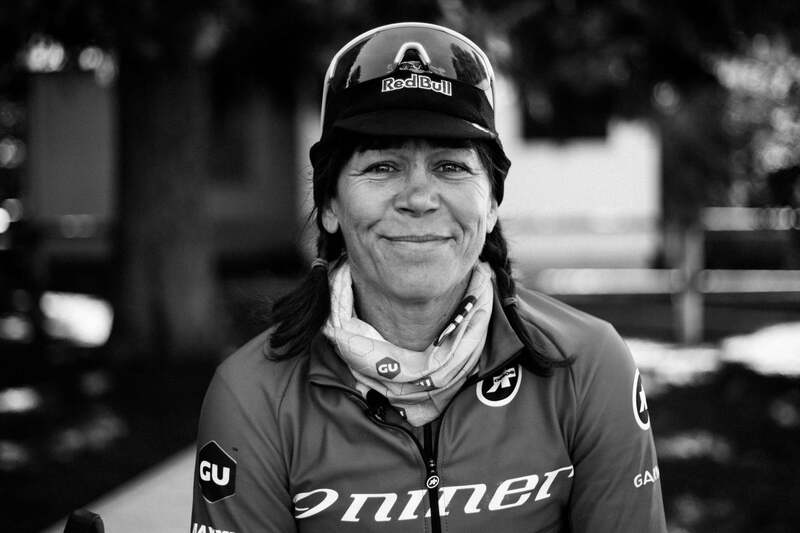 And time to discuss chatting with Rebecca Rusch, a multiple-time world champion, Leadville winner, Red Bull athlete and all-around badass. And I’m still not completely convinced she’s not the mayor of Sun Valley!